If a trip to the Overlook Hotel is out of your price range this winter, Chicago’s latest pop-up experience may be of interest to you. Ukrainian Village gastropub the Rookery is channeling Stanley Kubrick’s film adaptation of Stephen King’s The Shining as the inspiration for a series of events in the venue’s second-floor lounge. 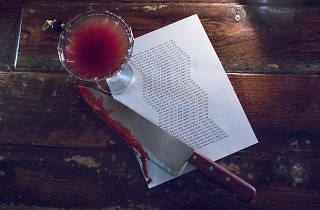 Visitors at Room 237 can expect the usual array of themed cocktails (with names like the Caretaker, the Hedge Maze and Redrum) and movie-inspired decor, but the organizers behind this pop-up have taken some extra steps to bring The Shining to life. Guests will interact with the characters of Jack, Wendy and loyal bartender Lloyd (all played by local actors) while relaxing in a replica of the Overlook Hotel’s gold room and listening to a soundtrack curated by Mark Gertz (Dark Wave Disco) and Matt Wells (True Mother Records). Plus, each evening at the pop-up will kick off with Stephen King trivia, hosted by Consequence of Sound. Room 237 will only be open from 9pm to 3am on Saturdays, beginning on January 20 and ending on February 10. Admission is free, so make sure that you show up to the Rookery early—as you know, all work and no play makes Jack a dull boy. 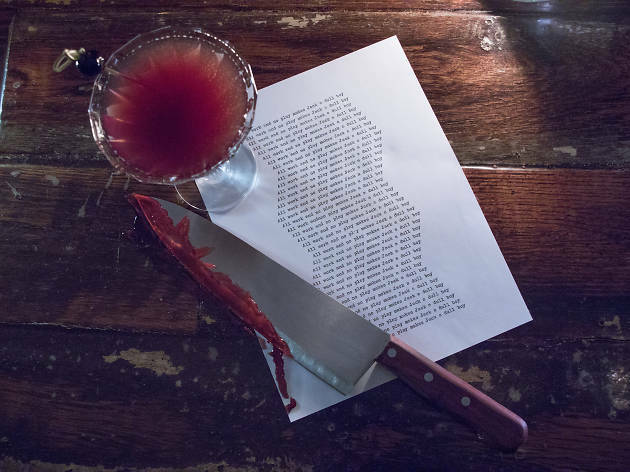 Take a look at some photos of the space (as well as its devious residents) and the Room 237 cocktail menu below.